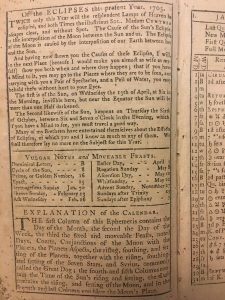 “Many of my brethren have entertained themselves about the effects of the eclipse…” From the 1763 South-Carolina Almanack in the SCHS Pamphlet Collection. 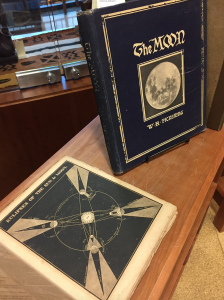 When not organizing solar eclipse expeditions, famed American astronomer William Pickering found time to pen & illustrate The Moon: A Summary of the Existing Knowledge of Our Satellite, with a Complete Photographic Atlas, featuring 100 plates. The display is viewable only during Special Collections’ business hours. A special thanks to the Special Collections and South Carolina Historical Society teams for their help organizing the display.